I would like to thank Christina Wehner (check out Christina‘s excellent blog!) 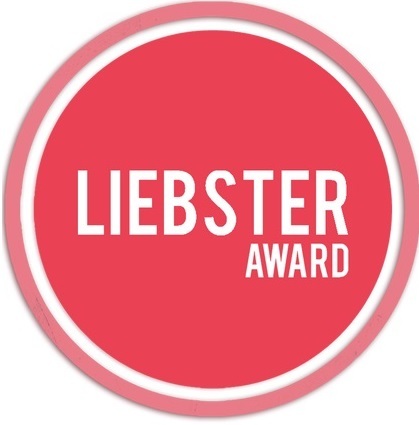 for nominating me to the Liebster Award! Answer the eleven questions asked by the blog that nominated you. Nominate several other blogs and ask them eleven questions of your own choice. Be sure to tell them on their blog that they have been nominated. 1. Favorite movie adaptation of a book. Stephen King’s Dolores Claiborne. A true rarity — the movie was exactly like the book. 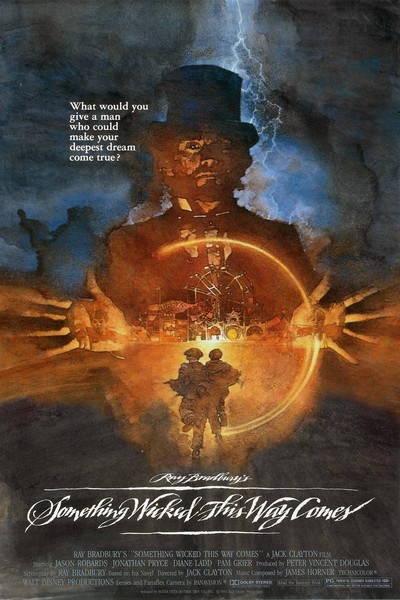 Taylor Hackford did a great job. The cast was perfect. You feel as if the title character was written with Kathy Bates in mind. 2. Least favorite movie adaptation of a book. Clint Eastwood’s Midnight in the Garden of Good and Evil. John Berendt’s book is about a town and its people. The book is really a collection of anecdotes. Eastwood decided to narrow the focus of the narrative down to one event thus destroying what made the book interesting. 3. Book you wish Alfred Hitchcock could adapt into a movie. F. Scott Fitzgerald’s The Great Gatsby. I know, it sounds crazy, but hear me out. Fitzgerald’s classic book is about a man obsessed with the past. In many Hitchcock movies people are haunted by the past — Rebecca, Spellbound, Vertigo, Family Plot, etc. Gatsby’s romantic obsession is also a Hitch motif. Sin, guilt, obsession, all Hitch trademarks. I discussed it in more detail during Cindy Bruchman‘s excellent series Lucky 13. 4. Book you would love to see turned into a musical. 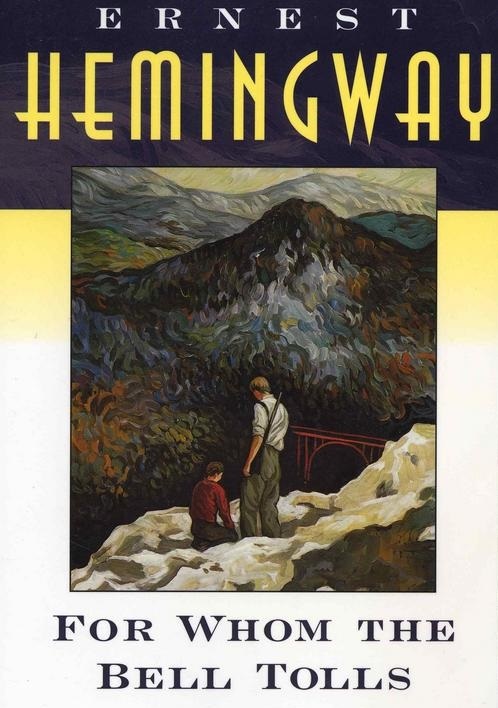 Ernest Hemingway’s For Whom The Bells Tolls. Something along the lines of “Evita.” I can see Pilar singing “If I were a Beautiful Woman” or Robert Jordan singing, “Maria” — oh sorry, this has been already done! But you get my point. 5. Movie you would most like to see remade. Something Wicked This Way Comes (1983). I enjoyed this Disney version of Ray Bradbury’s book. It’s a fine movie. 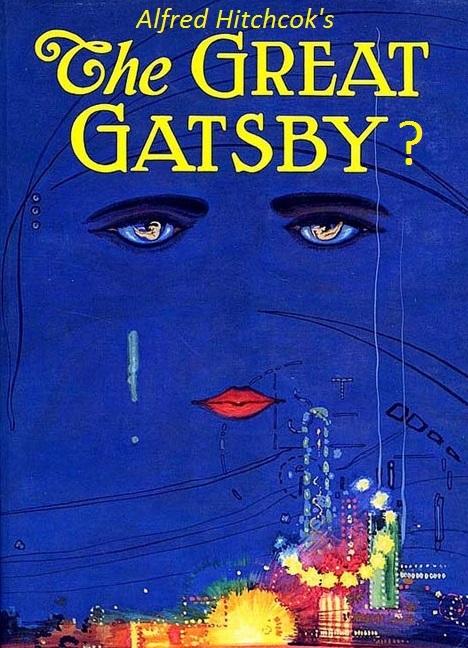 I, however, think that a really good filmmaker could make a masterpiece out of this classic book. 6. Song that most often gets stuck in your head. Right now? “Then He Kissed Me.” I’m not sure why. I do love the song. Errol Flynn. I do love Douglas Fairbanks Sr. I grew up with Richard Chamberlain so I need to mention him too! 8. Which legendary hero do you prefer: Zorro or Robin Hood? Zorro. I love heroes with secret identities. 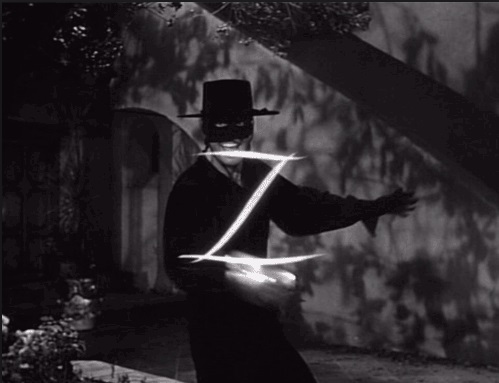 My favorite Zorro is Grant Williams, who played the character in the Disney TV series. 9. Name at least three or four actors from the classic movie era who you would cast in a Golden Age of Hollywood movie version of The Lord of the Rings. 10. Preferred movie watching weather ambiance: sunny, cloudy, rainy, blizzard, hurricane, overcast, daylight, midnight? Midnight. This is when I feel most relaxed. 11. And because it’s such an intriguing question: the Enterprise meets an Imperial Star Destroyer in a battle: who wins? Kirk and co., hands down! Participation is optional. Don’t feel pressured to answer the questions. What’s the first movie you ever remember watching? Name a movie you loved, but everybody else hated. Name a movie you hate, but everyone else seems to like. Recast an older movie with modern actors. What’s your favorite movie starring your favorite actor? What movie you are ashamed to admit that you’ve never seen? What is your worst movie theater experience? What movie best reflects your movie sensibilities? Name a movie that has changed your mind about something. Thanks, Cindy! I know you are a busy lady so I’m not expecting anything. Consider the nomination a big token of appreciation! That is a fascinating – though unexpected – thought about Hitchcock and The Great Gatsby. The way you describe it, it makes me sorry he didn’t adapt it to film. You know, I’m actually in the middle of watching the Disney Zorro TV series for the first time and really enjoying it. It’s interesting how he seems to be able to still be very involved in community affairs as Diego (unlike in most film versions), but keep it so nobody suspects him as Zorro. Ooh, Boris Karloff as Saruman – that would have been delightful. And I can definitely see Olivia de Havilland as an elf. I kind wish I could have seen that cast in a film version, too (assuming Tolkien and written his book earlier). I so enjoyed reading all your thoughts! Congratulations. And thank you so much for nominating me, I’ll try and get to doing an acceptance post, but I am a bit busy at the minute. There is no obligation. Cheers, pal! Congratulations Eric and well done. Nice post too. Congrats, Eric, and thanks for nominating me. It’s a voluntary thing. I hope you have the time to do it, though. Congrats on your Liebster award! I agree that the film Midnight in the Garden of Good and Evil was a barely tolderable adaptation of a fascinating book. The thought of a Hitchcock treatment of The Great Gatsby sounds intriguing. I bet it would have been fabulous. Midnight in the Garden of Good and Evil could be a great mini-series. Don’t you think? Thanks for stopping by! Oh yes, great idea for a mini-series! I hadn’t thought of that.